I am not a bestselling author, nor do I play one on television. I do, however, take a great deal of interest in how those who have managed to make it big with their self-published Kindle books have managed to pull it off. It’s a tough environment and authors don’t have the soft of support system that traditional publishing offers, so there is often a great deal of creativity that needs to come into play. If you are looking to follow in the footsteps of the KDP success stories that we have seen so far, however, there are a few things that are best kept in mind. You already know that social networking is considered the key to self-publishing success at the moment. What a surprisingly large number of authors seem to think this means is that you need to send out scores of random connection requests on Facebook and Twitter, then repeatedly advertise your book over and over again. This is the wrong way to do things. Anybody who has access to a Kindle will already know that there are more eBooks out there than they can ever hope to read. Make yourself stand out by doing something besides badgering. Answer questions, share anecdotes, build up a conversation about your writing process, or just offer the occasional preview of your newest work. If you treat your readers like people, they will be more interested in what you have to say than any 140-character ad could accomplish. Unlike with traditional publishing, you will not accomplish much on a book tour. Instead, harness the power of the internet to make your connections as virtual as your Kindle publication. Set up online gatherings, have a community forum on your personal site, make a Facebook fan page, and generally just keep your options open. Under no circumstances should you decide to buy into one social network at the expense of all the others. It doesn’t take much extra effort to at least cross-post news or check comments in a variety of places and you cast a wider net that way. It is important to go beyond direct advertising as well. One of the best ways to accomplish this is by developing connections with other authors. Readers tend to take their favorite authors’ recommendations seriously, so it is definitely possible to form a circle of reliably interconnected readership with your peers. This is mainly just a way of directing the force that is the customer recommendation, but that can be tricky to get a hold on. When it comes to publishing an indie book, the Kindle Direct Publishing program has done wonders for new authors all over the place. Some, like John Locke and Amanda Hocking, have manages to hit it big as a result. In spite of these examples though, it is impossible to deny that for the most part people don’t take most self published works too seriously at first glance. There are a few big factors that I believe play into this. The first would be, as sad as it is, poorly designed cover art. Even if you are writing for the Kindle, the first thing people are going to see will be the cover you have chosen to represent your work. A piece of clip art or quick Photoshop-ed photo will only serve to indicate that you couldn’t be bothered with quality control. Nobody will deny that marketing is the most important of making an indie book take off and your cover is the most basic piece of marketing. Second, and somewhat more intuitive, is editing. If you get comments in reviews about having a poorly edited book, that will work against you. Nobody really likes to read badly written prose even when it tells an amazing story. It can completely destroy immersion at key moments. Now, obviously nobody is perfect and even the best books slip through to print with errors, but that doesn’t mean there is any excuse for failing to triple-check your work and find somebody else to look over it for you too. You’re expecting people to pay money for this in the end, so it should be worth a little extra effort. Third and finally, is the quick release schedule. While it has become almost commonplace to hear the advice that Kindle publishing requires you to release a book every 6-12 months to retain reader interest, this should be considered very carefully. While you will definitely start making money faster the more of a back catalogue you have going for you, it is more important to make sure that the best possible product is going out. Five poorly reviewed books will not only earn you less money than two well reviewed books in the same time period, they will pull you down even if later works improve dramatically. When you write you are building your name into a brand. Keep in mind how you want that brand to be perceived. Naturally this is all fairly general and there are a few reasons that all of these points, especially the last one, can be less important for certain projects. There is significant potential in self publishing these days thanks to the Kindle though, and it is painful to see potentially great authors being ignored thanks to missteps made in the rush to get a piece of the readership. Just remember that readers are going to keep reading. The Kindle is more popular all the time and unlikely to fall away as the most widely used eReader in the world any time soon. Take your time and make something you can be proud of. The December numbers are in for Amazon’s rather controversial Kindle Owners‘ Lending Library (KOLL) and for some people they turned out to be quite good. Right around 295,000 rentals were made of the approximately 70,000 titles available to be checked out in December alone. Given the $500,000 fund allotted to compensate KDP exclusive authors for these rentals, that means approximately $1.70 per lent copy was handed out. Things went over so well, in fact, that Amazon is throwing another $200,000 into the pool for January’s authors. This will bring the total to be divided up to $700,000, though of course it will also quite possibly be divided among even more authors this time around. Among the more notable success stories, we know that the top ten most popular KOLL authors put together nabbed over $70,000 from these rentals alone. That is around a 30% increase over other monthly income from the same works. The top earner was Carolyn McCray, author of a number of paranormal romance and mystery/thriller titles, who is quoted in the Amazon Press Release as saying that “KDP Select truly is a career altering program”. Romance writer Amber Scott, 16yr old children’s author Rachel Yu, and the puzzle book producing Grabarchuk family made up the rest of the highlighted triumphs, with over $6,000 in KOLL related income apiece. In these cases, obviously there has been no significant downside to the program. The fact that participation in it requires exclusively making one’s work available exclusively to Kindle owners may have more of an effect on many others, however. What the press release numbers do not tell us is the average income that an author managed to pick up this month, aside from the fact that it was a measurable percentage increase over participating authors’ usual monthly income from Kindle Store proceeds. It would be interesting, if pretty much impossible, to compare how many authors saw a jump in profits compared to the number who actually lost income due to exclusivity. It seems safe to assume that this was the case for at least some people. As with anything related to self publishing, however, most of the success will have to come through some form of author driven advertising. Random hits by interested browsers are nice, but word of mouth is frequently not enough to drive sales on its own even for a skilled and prolific writer. The lending community opens the door to new readers, but so far is not arranged in such a way as to point readers toward any particular title. Overall this success is a plus for any fan of the Kindle. Owning one gains some ongoing perks in the form of book rentals, success stories among authors will surely lead to even more participants, and Amazon has immediately shown themselves likely to increase the compensation pool. We’ll be watching the program here in months to come as the situation stabilizes. You can’t really assume that holiday Kindle sales are having anything but a positive effect on everything related to the eReading line, so it might be the end of first quarter before we can say anything definitive about ongoing positive trends. Still, off to a good note. There is always going to be a certain amount of skepticism that has to be exercised toward online reviews of any sort. Those who are least satisfied will also always be the most motivated to post something, and there isn’t necessarily any way to confirm whether the problem being experienced was in any way the related to the product experience that another customer might get. With something like the Kindle Direct Publishing platform, or the Amazon Appstore for Android now that the Kindle Fire is around, this can be especially problematic for a provider. These authors and developers often have no other major avenue through which to sell the product of their labor, which means that a misinformed negative review can have a major impact. However much we might wish it weren’t so, the first thing many people look at when considering a new book, app, toy, etc., is the overall review. Particularly the number of truly negative ones. Now, Amazon has done some good by adding in a product review rating system that allows users to tag particularly helpful or unhelpful contributions, but that only matters if you actually go so far as to read them. If you are considering a purchase, especially with regard to digital content from the Appstore, it might be particularly helpful to read carefully. Right now, as the attempt to cater to an impressively diverse selection of Android devices can be problematic, many apps are overrun by 1-Star reviews for being incompatible with specific phones or tablets. It is not unknown for this to be the case even when owners of these devices could clearly see that their device was not listed as compatible. Don’t let this sort of behavior dissuade you from picking up an otherwise excellent piece of software. First, unlike what you might expect, anything 3-Star and below is considered a negative review. If you rate a product below 4-Stars, you are essentially telling Amazon that this is not a product that you would recommend to anybody. If the average product rating drops to 3-Star, that is exactly how the site will treat it and potential customers will rarely, if ever, be directed to it based on their interests. This can have a devastating effect on the income of the creator. Second, it is bad form to judge a product based on what you wish it did rather than how well it does what it claimed. If a book presents itself as a romance but is actually about corporate espionage, then there’s plenty of room for complaint. If you felt that the calendar app you downloaded would have been better if it had the ability to import the Smurfs theme as an event reminder, that would generally be considered outside the realm of what you are meant to review unless sound file importing was specifically advertised. 5-Stars means that the purchase is a good example of exactly what it claimed to be. 4-Stars means that it generally met expectations, but probably could have been more successful. Anything 3-Star and below means something was significantly wrong with it. Please try not to penalize authors or developers who choose to make content for the Kindle and Kindle Fire due to things out of their control. If Amazon takes longer than you would like to deliver your files, it isn’t their fault. If you had hoped that despite being advertised for Honeycomb an App would work on your Android 2.1 device, the failure is not the developer’s fault. Negative reviews on individual products that Amazon.com provides will generally not have any effect on the company as a whole, and often it is likely that they never see these complaints at all unless representatives are specifically directed to them. Keep in mind who might be affected by your criticisms. The big news of the day is Amazon’s introduction of a potentially huge incentive for authors to make their content exclusive to the Kindle platform. Starting immediately, any author or publisher who chooses to go entirely Kindle will be eligible for a share of the monthly Kindle Owners’ Lending Library fund after 90 days. it isn’t a guarantee of immediate profit any more than self publishing is an inevitable path to success, but for successfully marketed books it can spell some great new income in return for withdrawing from overall less profitable competing stores. The payment scheme is based on the total number of rentals in the Lending Library, the percentage of rentals of a given book within that larger number, and the amount of money placed into the monthly fund by Amazon. The promise they have given in the press release is for equal distribution based on the popularity of a title, meaning that if 500,000 people each borrow a book then every rental will earn one dollar. If fewer than that join in, which seems likely at first since the pickings have been slim enough to prevent much excitement in the program so far, then each could be worth significantly more. Best case scenario, this has the possibility of being more profitable than actual sales revenue for some authors. Since at present the monthly installments are expected to remain at $500,000 through at least the entirety of 2012, the only real question is how much interest can be drummed up for a given title and the service as a whole. Amazon does not release numbers on this, but the success of both the Amazon Prime program and the Kindle in all its many iterations would seem to indicate an impressive amount of overlap being likely, especially as the Kindle Fire continues to enjoy ongoing popularity and extra Amazon Prime functionality. Each such instance is eligible to participate, supporting a favorite author if nothing else. The fact that this requires the authors and publishers in question to completely withdraw from the Nook, Kobo, and other platforms will likely cause more ideological upset than financial distress for participants. In general many make as much as 90% of their digital sales revenue through the KDP program already, according to some sources. In doing so, however, these individuals may incur some bad press overall. No author wishing to make a living on their craft is likely to easily make the decision to turn down an increase in income, but there is the very real possibility that this could be a crippling blow to other eBook vendors. This is clearly a move on Amazon’s part to increase the Kindle platform’s lead over the competition. Not only does the new program mean that more high quality titles will be showing up in the free-ish category that the Kindle Owners’ Lending Library represents, it decreases the value of competing devices by taking away the content they need to thrive. Self publishing is an increasingly important area to control, given how much the Agency Model pricing scheme imposed on digital book vendors cripples competition over pricing of products passing through traditional publishing. It’s easier to get your books out on the market than ever before thanks to Kindle Direct Publishing, but it’s worth weighing the decision carefully when it could mean fewer options in the long run. Don’t mistake me for being against the program. I’m not. Anything that supports authors and makes books more readily available to readers with Kindles is wonderful in my eyes. There is definitely reason to worry about it being too successful in the end, however. Amazon’s new @author feature is a new addition to their Kindle-based social media effort. Currently in a limited beta release, the feature promises to create an even closer author to reader connection by allowing readers to send along questions for their favorite authors right from the Kindle itself. While it may turn out to be a mixed blessing for authors already being pulled in far more directions than ever before to get maximum exposure, many will undoubtedly welcome the opportunity. In its ideal use case, the @author feature will be a source for frequent connections with curious readers that allows for one-on-one contact and gives readers a chance to resolve points of confusion by going directly to the source. At the same time, since questions are visible from the author’s Amazon page and answerable by anybody, this should help to foster a sense of community among readers. It seems a lot like Kindle authors are getting the best of both worlds. There are promotional opportunities from the comfort of their own homes when they are building an audience and an open forum for discussion when that audience gets large enough and involved enough that people start answering each other’s questions. Obviously the advantage for Amazon in all of this is that the Kindle‘s integration into the communication process will give it that much more pull on customers and potential Kindle Direct Publishing authors. The user experience of the upcoming Kindle Tablet will also involve tighter connections than ever to the Amazon.com storefront, which makes this a further selling point for the new hardware, at least among readers, should they market it properly. There are potential downsides with this, as with all new services. Because it is still a limited beta release, we have no real way of knowing what kind of moderation the @author question/answer system will enjoy upon release. As anybody who frequents the Amazon product forums can attest, open discussion on the site doesn’t always tend toward the most productive side of things. There is also a new set of authorial duties that will take some getting used to. Since the ride of eBooks began, many have expressed concern that the increased emphasis on self publishing would result in the best marketers rising to the top rather than the best writers. In theory, after all, the role of the publishing house was to select the best of the best to bring readers only exactly what they want to read. In some ways, it’s a very important concern. Sure, you can now sell your own book without bothering to get an agent, editor, or publisher, but now you also have to complete every stage of development from the start with no large support structure. Undoubtedly some amazing authors have fallen by the side of the road for exactly that reason. Overall though, with the sheer number of increasingly successful Kindle authors, we’ve seen an increase in the number of great writers being read. This will probably bring a little bit more hassle for some people, but it will also facilitate convenient conversation and have a net positive effect for any author smart enough to take advantage of it. While the focus of Amazon’s new content duplication policy for the Kindle Store is clearly an effort to eliminate the Kindle spam that has become an ongoing problem for customers, it has a couple less obvious effects that work to the advantage of both the company and the customers. Much of the speculation regarding how the Kindle Store could be cleared of worthlessly repetitive content revolved around the most efficient and advantageous methods that they might have available and clearly an interesting one was found. The most obvious change, though not entirely new, is to the out of copyright publication. Perhaps the biggest problem that these have posed many consumers is their variety. Now, normally variety is always a good thing. When you know that the content you are acquiring is going to be the same no matter where you get it, however, having ten, twenty, or even fifty versions of the same thing to choose from is simply not helpful. The in-text annotation and added content that one expects with the many different print editions available to choose from do not translate well to the Kindle experience just yet. Amazon has done quite well in the past few months at reducing the clutter among these titles, but with the apparent automation of the duplicate-checking that they now have in place it will be that much easier and more reliable. 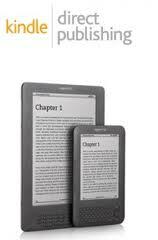 They have also done a great job of ensuring the most up to date content library available for Kindle customers. While it would be illegal and quite definitely against all policy to post a stolen work to the Kindle Store, it has not been an unknown occurrence. Since I started publishing through them, I have personally had three books stolen and attributed to other authors and I know that I am far from the worst affected. Now, so long as I am the first one to upload my work, there is no need to worry about it. Not only does this do an excellent job of protecting authors and simplifying the review process for Amazon, since they no longer have to worry about nearly as many theft complaints, it gives further incentive for all self-publishing authors to head to the Kindle Direct Publishing first. If only to save on the headache of dealing with verifications and lost sales due to delays, authors will likely now feel that much more inclined to give the Kindle priority. After all, once it is up on the Kindle Store, nobody else should be able to post that content unless the original posting is removed first. Why risk having to go through the trouble of eliminating an illegal copy made by somebody who downloaded the work elsewhere? Overall, while I can see specific situations where taking the review process out of human hands could result in over-enforcement, this will do a lot to improve the shopping experience for Kindle owners. It will do even more to protect authors. When you take those two groups and keep them happy, it makes life easier for Amazon and makes it even more likely that people new to publishing will choose the KDP. This would seem to be wins all around. After a few weeks of rather vocal complaints regarding the state of the Kindle Store and the increasing difficulty in finding worthwhile content, Amazon has come up with a response. Despite the potential for it to cause discomfort for a certain number of Kindle Direct Publishing users, it looks like significant measures are underway to address the problems. The days when searching for a Kindle Edition would bring up hundreds of nearly worthless, nearly identical eBooks are coming to an end. The origin of the problem stems from the nature of these spam offerings. While in the main they are useless and nothing anybody would want to buy, very few of them are deliberately malicious aside from their failing to provide value to customers. You can’t risk cracking down on authors who are just not good at their job. The deliberately malign options are, of course, policed rather strongly. Somewhat legitimate titles, built using content from Private Label Rights authors who sell their work to others for a small fee can be harder to track down. These are titles that the purchaser can pay once for and have legal use of, including author credit and editing privileges. Some of these works have the potential to be at least somewhat useful, and there is nothing illegal about the process, but once the idea caught on with internet marketing enthusiasts it was bound to result in exploitation. We’re contacting you regarding books you recently submitted via Kindle Direct Publishing. Certain of these books are either undifferentiated or barely differentiated from an existing title in the Kindle store. We remove such duplicate (or near duplicate) versions of the same book because they diminish the experience for customers. We notify you each time a book is removed, along with the specific book(s) and reason for removal. In addition to removing duplicate books from the Kindle store, please note that if you attempt to sell multiple copies or undifferentiated versions of the same book from your account, we may terminate your account. If you have any questions regarding the review process, you can write to [email protected]. To be fair, you have to give a great deal of credit to the community involved in this practice for their reaction. 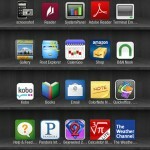 While there have been a few people recommending the move from Kindle to Nook platforms as a short-term solution, overall it seems that the end of PLR exploitation was anticipated. There will probably be no major outcry regarding this policy change, even among the people most affected by it. They knew they were exploiting a loophole that would eventually be closed.